Make change in an instant with a chart-based system to touch your clients! 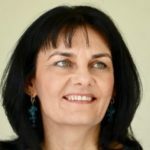 Erika László is a transformational teacher, a coach, an author and a communication trainer. She has transformed thousands of lives (including CEO’s and celebrities), saved marriages from breaking apart, businesses from bankruptcy, and gave new perspective and a fresh start for those with severe health or money issues. She is the creator of SuperConscious Self-Coaching™, “DEMERT Method™” (an effective tool to change limiting beliefs), co-founder of SuperConscious World™ and co-owner of SzuperC Ltd the umbrella organization of SuperConscious Community. Before founding SuperConscious World with her husband (who has been CEO of different multinational companies) she has been a financial director of a private school and then a Vice President of a spiritual organisation in Olympia, Washington (USA). She is fluent and teaches in Hungarian, English and Spanish and has some basic French, Italian, German and Russian knowledge. She currently lives in Budapest, Hungary in the European Union. She and her husband are the proud parents of their grown-up son who lives in Germany. Click to find it on Amazon! For more information go to www.LaszloErika.hu or www.SCC.world.